May 27, 2014– Jacksonville Executive at Craig Airport (JAXEX) and the Police Athletic League (PAL) of Jacksonville are pleased to announce the graduation of the inaugural class of JAXEX High Achievers, a joint initiative designed to expose local youth to exciting career opportunities in aviation. Leaders from the Jacksonville Aviation Authority (JAA), PAL and the Jacksonville Sheriff's Office (JSO) gathered May 22, 2014, with tenants, parents and special guests to recognize the students who successfully completed the four-month-long program. The JAXEX High Achievers initiative included a series of monthly workshops that offered hands-on demonstrations, professional development training and information about aviation-related degrees, skills and careers ranging from piloting an aircraft, aerial photography and airport operations and administration. Workshops were hosted by JAXEX tenants and partners, including ControlCam, Sterling Flight Training, Malone AirCharter, JAA and the air traffic control tower staff. "I'm thrilled and grateful that we were able to partner with the Police Athletic League and our tenants to offer this unique learning and career-building opportunity to local students," said JAA Executive Director Steve Grossman. "I hope the High Achievers program inspired a love for aviation in these students that may one day impact their education and career decisions." JAXEX High Achievers graduates received a certificate of completion and heard words of advice and congratulations from JAA Executive Director Steve Grossman and Jacksonville Sheriff John Rutherford. Students also took the opportunity to expound on their experience with the program, and how it has impacted future college and career plans. "It's been a lot of fun to have the PAL students out at JAXEX," said JAXEX Airport Manager Tiffany Gillem. "They asked great questions and were very engaged in the workshop activities with our tenants." 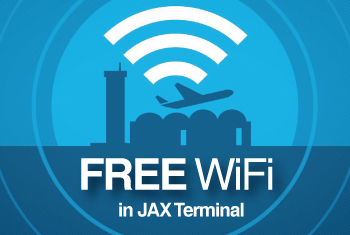 For more information about JAXEX, visit flyjaxex.com. 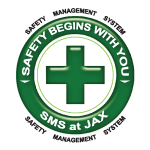 For more information about JaxPAL, visit www.jaxpal.com.